Isolate Complex is your choice for the TOP quality in whey protein isolate. Elite athletes know the importance of protein quality when it comes to their nutrition. Isolate Complex uses only WPI (Whey Protein Isolate) because it is known to have the highest biological value (BV) of all protein sources. With 27 grams of whey protein isolate in just a single scoop, Isolate Complex will meet the highest standards. 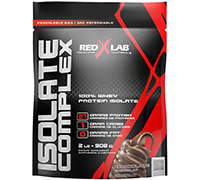 The unique formula of Isolate Complex contains no fat and only one single gram of carbohydrate! 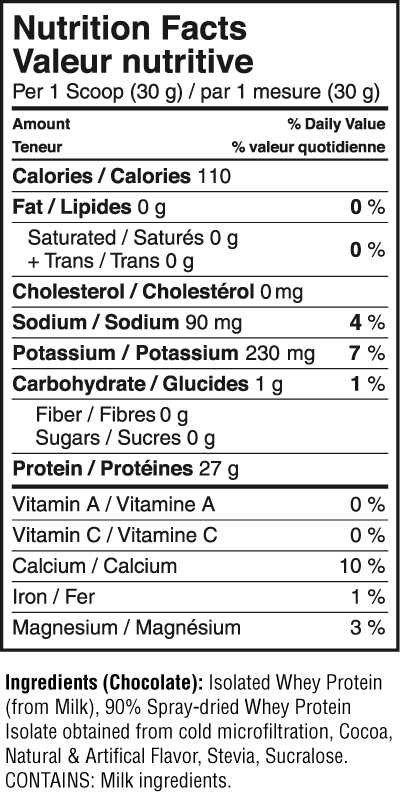 You read correctly, a scoop of Isolate Complex contains 27 grams of high quality protein and absolutely no fat! Some people have digestive problems when using gluten-containing products. Isolate Complex is gluten free to offer a pleasant experience. Mix one heaping scoop of Isolate Complex in 8 ounces of your favorite beverage. Drink one serving within 30 minutes after your workout and whenever you cannot get a complete nutritious meal.